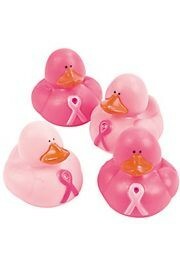 October is designated as National Breast Cancer Awareness Month. 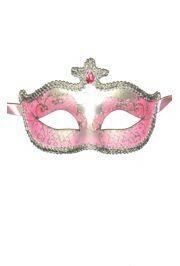 You can find everything you will need for a fundraising event, including pink ribbon beads, Pink Ribbon Apparel, Pink Ribbon Decorations, pink ribbon party supplies, Pink Ribbon Mask, and much more. Pink Ribbon Bracelets and Plush Bears with Pink Ribbon T-Shirts are great giveaways during breast cancer awareness month. 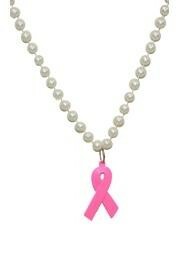 Show your support for National Breast Cancer Awareness Month by wearing Pink. 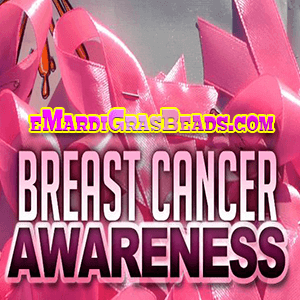 Pink Mardi Gras beads make any National Breast Cancer Awareness Month events even better. 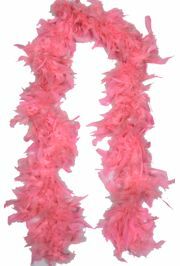 Decorating for Breast Cancer Awareness is easy - pink feather boas, pink ostrich plumes, pink mesh ribbon. 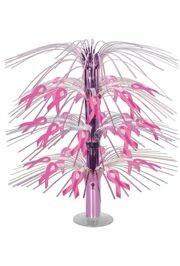 Breast Cancer Awareness Party Supplies - we have rubber bracelets, table cloths, and Pink center pieces.